In November last year we finished our third course at Sydney Observatory run by Paul Payne – two on astronomy, and one on Einstein’s Theory of Relativity. If you are interested in astronomy or relativity, they’re the perfect way to learn more in-depth concepts. My personal favourite was Astronomical Concepts, but we loved all of them! Paul is a great teacher, and explains a lot of complicated concepts in a clear and straightforward manner. He also teaches Java at TAFE, so he’s developed a set of computerised 3D models to go with his courses, which help enormously. The courses generally run along school terms, so that gives you plenty of time to sign up before the next one starts in February. In our last night of the course, we spent a lot of time discussing the universe and its size. I’ll just leave this video of a universe fly-through right here, using data from the Sloan Digital Survey. Each one of those dots is a galaxy – there are over 400,000 of them featured in the video. There is also a fantastic picture taken by the Hubble space telescope of a seemingly black corner of the sky, revealing thousands of galaxies that extend back in time to within a few million years of the big bang. 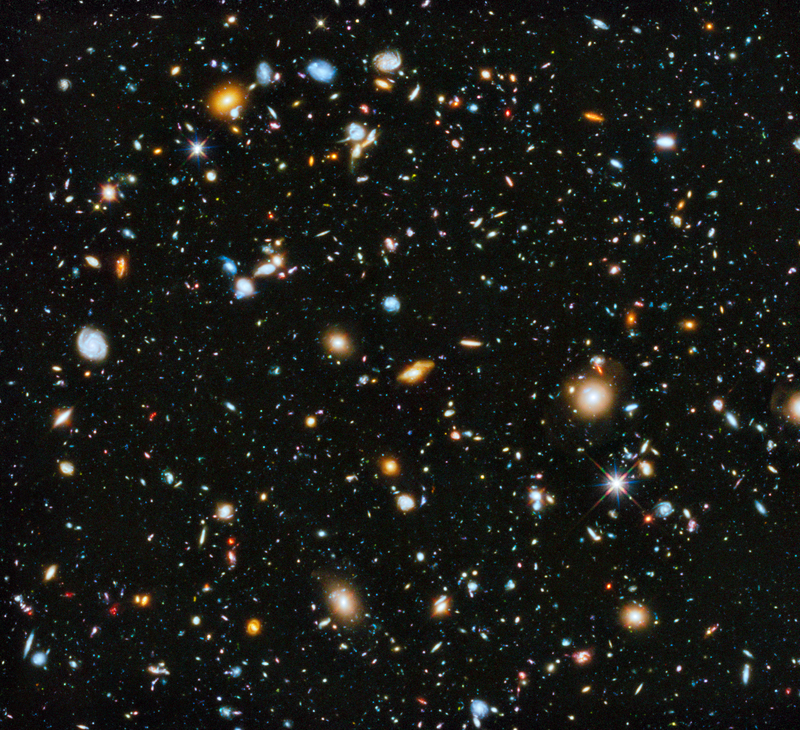 More information on the Hubble Ultra Deep Field image.